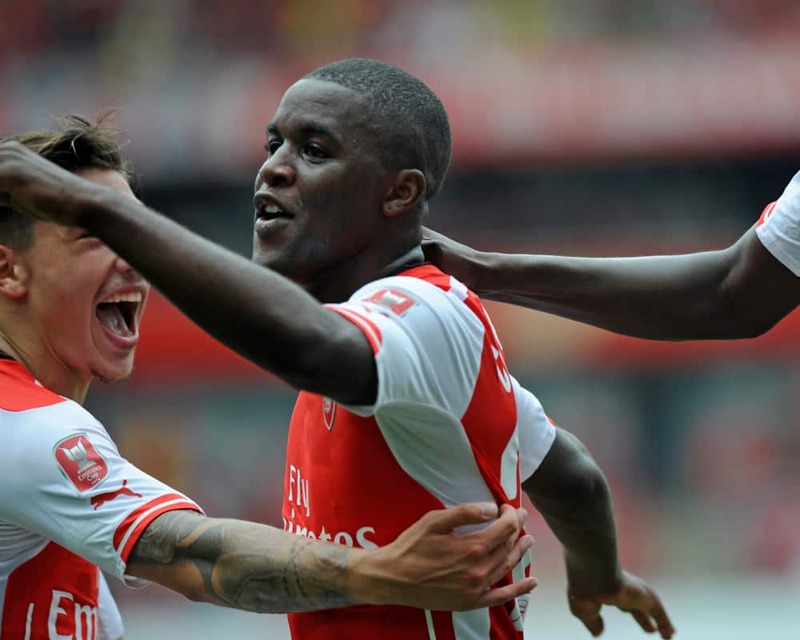 Young Costa Rican star Joel Campbell scored in his debut for English powerhouse Arsenal on Saturday during a 5-1 preseason romp over Portuguese champions Benfica. The 22-year-old striker, who scored Costa Rica’s opening goal in the 2014 World Cup, tallied the second goal of the match and assisted on the third. French striker Yaya Sanogo notched the other four goals for Arsenal in the Emirates Cup friendly in London. After spending the last three seasons out on loan, Campbell is trying to stick with Arsenal for the upcoming Premier League season. After the match, Arsenal manager Arsene Wenger praised both Campbell and the 21-year-old Sanogo and insisted he had no plans to send them back out on loan again. “They need to play, of course, but they need to play here,” Wenger said. Sanogo opened the scoring at the 26th minute. Campbell then knocked in a left-footed blast at the 40th minute. Four minutes later, Campbell set up Sanogo with a cross for the Frenchman’s second goal. Sanogo scored his third in stoppage time, giving him a first-half hat trick. Sanogo scored Arsenal’s fifth goal at the 49th minute, before Benefica’s Nico Gaitán finally put one in at the 61st mark. Campbell was substituted out of the match midway through the second half to make way for Arsenal’s new $50 million forward Alexis Sánchez. Despite the club’s bevy of talented strikers, Campbell still managed to leave a strong impression with Wenger.